When World War II broke out in 1939, the idea of women working in the Armed Forces was considered quite radical, in spite of a long tradition of Army nurses. 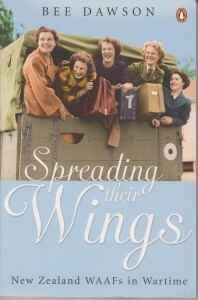 The first women of the WAAF were greeted with opposition and disapproval, but by the end of the war they had become respected members of the Armed Forces. Most WAAFs began serving in support roles, but as the war progressed increasing numbers were trained to do ‘men’s jobs’ such as instrument repair or armoury instruction. Many WAAFs lacked formal education and often knew little about ‘the facts of life’. They joined up as girls and demobbed as mature women, tempered by war, the loss of loved ones and a world forever changed. They drew great strength from each other and their friendships have survived the post-war decades. Bee Dawson’s interviews with these pioneering women reveal a diverse range of experience, from the excited fear surrounding the sighting of a Japanese spy plane, to the tragedy of a plane crash; from improvised wedding breakfasts, to living in huts so cold their lipsticks froze. For many young women, this was undoubtedly the time of their lives.